Lovely 2 bed tenement in quiet Shawlands location. 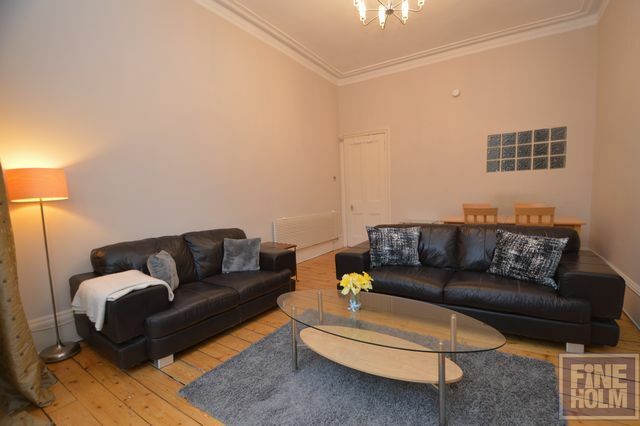 Back to the rental market this first floor flat is well located to enjoy all Shawlands has to offer with many bars, restaurants, local shops a short walk away. The property is well presented throughout with a stylish and bright feel. It comprises entrance hall, spacious bay windowed living room with remote control operated fire feature, contemporary furniture and stripped floors, two generous double bedrooms, modern kitchen and bathroom. The kitchen is compact but well equipped with all necessary appliances and utensils. Both bedrooms are large with the master having generous wardrobe space. Modern bathroom with shower over bath to the rear.GCH. Double glazing throughout. Quality furnishings throughout make this property ideal for professional couple, single person or sharers alike. Abundant on street parking.